For auto remarketing, you know that getting your inventory in front of customers is the key to sales and profits. Dealerships lose an average of $30-$40 each day a car is stuck in process being reconditioned. Often, these delays are avoidable. Better visibility and controls over the auto reconditioning process can help get your vehicles to the frontline more efficiently. 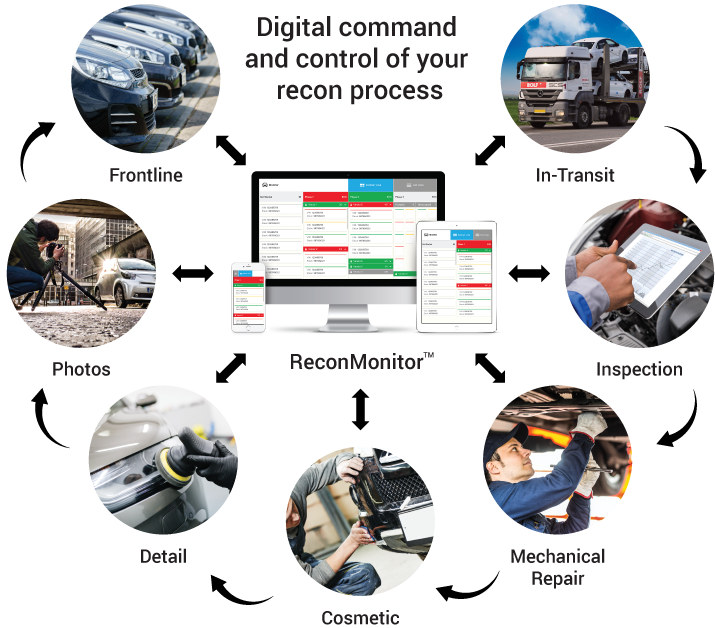 ReconMonitor replaces manual tracking and paper-based management with an integrated solution that keeps vehicles moving at speed. ReconMonitor helps you to stay in touch and in control of your reconditioning operation. Gone are the endless phone calls to the shop to check the status of a vehicle. Less time making and answering calls means more time working and faster turn-arounds. And that means peace of mind.